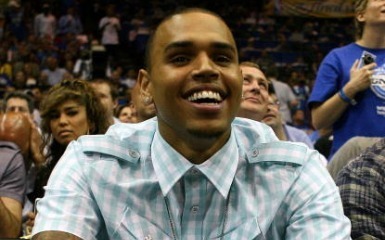 Chris Brown was the spoiled star at the BET Awards, being awarded five trophies. However, one of his awards went for a few seconds to Rihanna. At the end of the festivities, host Kevin Hart announced an awkward mistake: the Coca-Cola Viewers’ Choice Award that went to Rihanna and rapper Drake was actually Chris Brown’s. The singer wasn’t present so the award was received by her featured artist in the “What’s My Name” video. He accepted the trophy on her behalf not missing the chance to mention the awkwardness of the moment. Later on, Stephen Hill, who was BET’s President of Music Programming and Specials took the blame saying he made the errors. He wrote on his Twitter page: “That BET Awards Viewers Choice mix-up was due to human error. And I was the human that made that error.” He then apologized to all the people who were affected by the mix-up. Rihanna, 23, dated singer Chris Brown, 22, starting 2008. Their relationship has been described by the media as “dangerous” and “toxic” since Brown has been charged with assault on his girlfriend in February 2009. One month later the media reports stated the couple had officially split.